As kinesiologists, we hold the keys to what the scientific community deems the conscious emergent future. We will explore the mass of scientific research behind our work and how to become more coherent practitioners, gaining insights from and working alongside each other to grow that conscious emergent future. 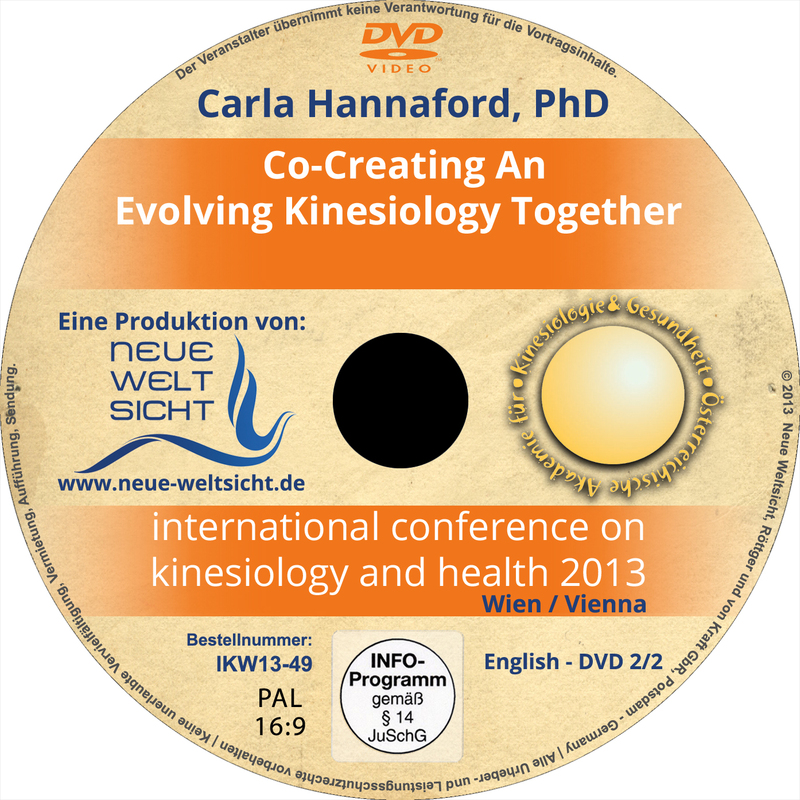 Carla Hannaford, Ph.D., is biologist, educator and kinesiologist. She is the author of books, including "Smart Moves", "The Dominance Factor" and "Playing in the Unified Field". She has received multiple awards for her work, been cited in over 1,000 books and Scientific Journals, and conducted at least that many workshops in 45 countries worldwide.